Suffering from cataracts in Philadelphia? Cataracts don’t have to keep you from enjoying an active, full and free life. At our Northeastern Philadelphia vision center, our experienced cataract surgeons and advanced technology give patients the gift of visual freedom from cataracts. You can read, drive, bike, hike, golf and use your smartphone easily and conveniently after cataract surgery. Cataract surgery technology enhances the predictability, precision and accuracy of the procedure, but the surgeon using the technology is what really matters. Our elite surgeons are board-certified ophthalmologists and specially trained in traditional and laser cataract removal. A cataract is a very common, usually age-related, vision condition in which the naturally clear lens of the eye becomes cloudy or opaque. As the lens becomes more opaque, it causes blurred or foggy vision, and other visual symptoms. Nearly half of all Americans develop cataracts by their 80th birthday. In addition to being a common vision condition among adults of advancing age, cataracts are very treatable. There are a few different ways to perform cataract surgery; once the team at Northern Ophthalmic Associates learns more about your visual condition, lifestyle and preferences, we can recommend the best option for you. Traditional cataract surgery is one of safest surgeries performed today. It is virtually painless, with a rapid visual recovery. The success rate for traditional cataract surgery is very high and the vast majority of patients are extremely satisfied with their results. Prior to the procedure, the eye is numbed with anesthesia. The cataract surgeon makes a small incision in the corner of the eye to access the capsule that holds the lens. The lens is carefully fragmented with ultrasonic energy and the pieces are removed with gentle suction. Once the natural lens has been completely removed, an artificial lens (IOL) is inserted through the initial incision. The IOL is carefully positioned in front of the pupil to restore clear vision and sharp focus. To complete the procedure, the surgeon closes the incision with a small stitch. Laser cataract surgery builds upon the already-superb safety and success rate of traditional cataract surgery. Most of the steps of the cataract removal process are performed with or assisted by a femtosecond laser instead of traditional surgical instruments. Performing these steps with a laser enhances the predictability and precision of treatment while reducing some of the risks. To begin the laser cataract surgery procedure, advanced imaging technology is used to help plan out the location and depth of the initial incision. These details are programmed into the femtosecond laser that creates the incision. When created by a laser the incision is not only more accurate but also more likely to seal itself after surgery. The next step of surgery is to open the capsule and access the lens. 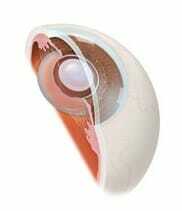 The femtosecond laser creates a very precise circular opening in the lens, keeping as much of it intact as possible. It’s important to maintain the integrity of the capsule because it later holds the IOL that replaces the lens. Then, the energy from the laser gently breaks up the lens into small pieces. The laser is less likely to build up heat than ultrasound energy used in traditional cataract surgery. This reduces the risk of burning the incision and compromising the visual outcomes of surgery. After the laser has fragmented the lens, the rest of the procedure proceeds similar to traditional surgery. The pieces of the lens are removed, and the IOL is positioned within the lens capsule. Our surgical team meets with every prospective cataract patient to confirm the presence of cataracts, determine the exact treatment needs and map out a plan. 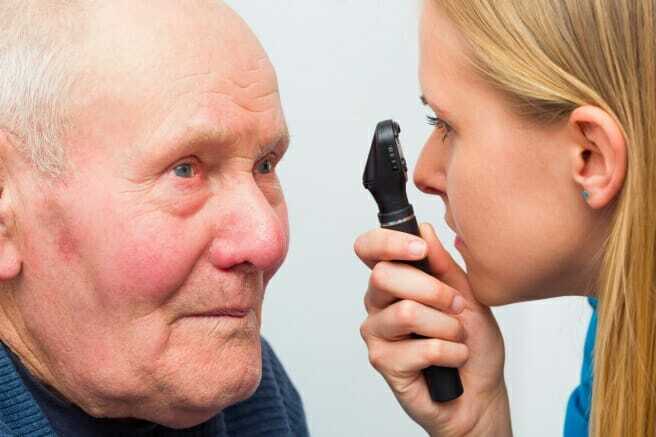 Diagnostic technology may be used to assess how badly the cataract is interfering with the patient’s sight, and detect any other existing conditions that could affect vision. Cataract surgery is a quick procedure performed with twilight anesthesia. Using state-of-the-art technology, our surgeons can remove cataracts and place artificial lenses in 20 to 30 minutes. The recovery from cataract surgery is typically fast with a few limitations on activities, and instructions for caring for the eyes. Many patients are able to see clearly a day or two after surgery. Traditional cataract surgery and standard IOLs are usually covered under most insurance companies, including Medicare. Patients that choose to upgrade to a premium IOL or laser-assisted cataract surgery may need to pay for those additional costs out of pocket, or using a healthcare financing plan. After the cataract-diseased lens is removed from the eye, it is replaced with an intraocular lens implant (IOL). Patients have many choices in IOL, ranging from standard monofocal lenses to more advanced multifocal lenses, accommodating lenses or premium extended depth of focus IOLs. We work with every patient to select the IOL that is best suited for their lifestyle and vision needs. If you have any questions about cataracts, or have been told by another doctor that you need cataract surgery, please contact Northern Ophthalmic Associates to schedule a consultation. You can call or send us an email today.